Welcome to Gull Four Seasons Resort! You have found your MN Vacation Rental! Whether you are looking for a trip to a Minnesota Fishing Lodge, that Cottage by the lake, or a Condo with air conditioning, you will find it here. With our variety of units and affordable rates we can meet the needs of everyone. For your convenience we have sorted our lodging units by size. Please refer to the sections below to start your journey to the Best MN Vacation. 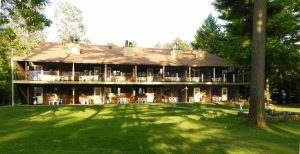 Our Minnesota Family Resort is set among the tall pine trees assuring that up north feeling to your vacation. Our large grassy areas allow you room to throw a ball or Frisbee, or just stretch out and soak in some of the peace and beauty around you. If you are looking for Resorts and Lodging in the Brainerd & Nisswa Minnesota Area you have found your Rental Home! Our Vacation Rentals near all the fun in the Brainerd Lakes Area are a great and affordable pick. Pontoon Boat & Motor Rentals. Boat Lifts & Fishing Guides. Always waiting for you, Gull Lake provides great swimming, boating and fishing. Take a rest by the lake, open a book or just enjoy the spectacular view that has satisfied our resort guests for decades. The kids will stay happy when they enjoy our indoor & outdoor swimming pools. We also have a kiddie pool & whilpool. Couples will love the beautiful view from our 1 bedroom Condos, save some money in our 1 bedroom Chalets. Our traditional Cottages or Cabins offer an affordable option for your vacation stay. Our Condos have the amenities many like including central air conditioning and dishwashers. Grill a steak while you relax: all of our units have a patio or deck with a gas grill. Our Condos and Chalets have central air conditioning, dishwashers, and a wood burning fireplace. Family Reunions and Groups love our resort! With our variety of affordable lodging options everyone finds the ideal unit! Pet Policy: Sorry, we do not allow pets at our resort. Campfires and Portable Firepits are not allowed. Please do not set up Tents or Screen Houses at our resort.